Since I still don't have a house of my own to work on and decorate, I've been painting more than ever. I guess that's a good thing, right? It's forcing me to focus more. I want to do and try everything out there and then I don't stick to things long enough to really see what I can do. 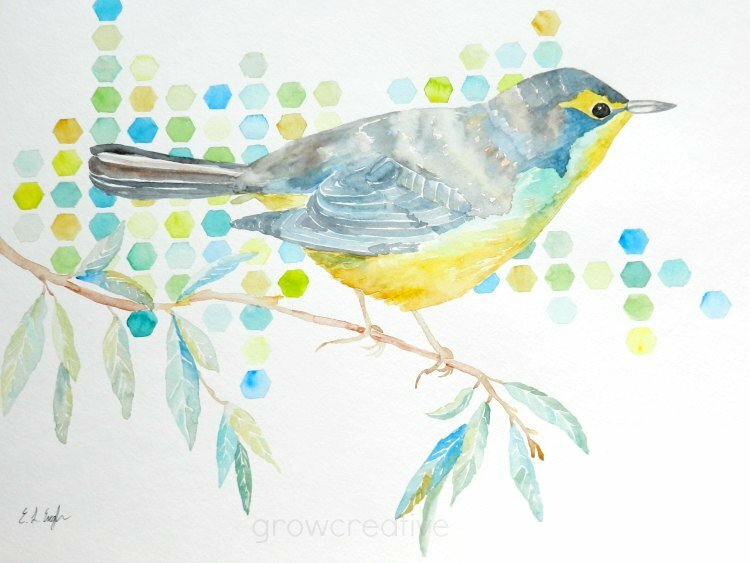 So here's a recent bird painting- with a little hexagonal thing going on in the background. Kind of an experiment. A big one too...... 16 x 20 inches of experimentation! Thank you for leaving me comments on all my posts! You are awesome! I love the contrast of the geometric shape with the natural feeling of the bird and branch. Beautiful, as always.